I set myself a Big Hairy Audacious Goal to teach one million women about money. Yes! But I admit that I am NOT one of those people that are bouncing balls of energy! There are times that I want to throw in the towel and call it a day! I have tough challenges and even tougher conversations. So how do I pick myself up and dust myself off to continue? There exists a certain type of energy that is able to pick you up no matter how low you may feel because it’s fueled by PASSION! For me, it is the best feeling in the world when you make a difference in someone’s life. The small pockets of encouragement and gratitude I receive from women across the globe is the MOST rewarding for me. It refuels my little flame to continue forward! So, thank you! I shun corporate care-and-share exercises. I understand the need to build a strong, trustful team but not at the expense of my vulnerability! In hindsight, there was a particular session that I learned so much. The energy that comes from unbridled PASSION – when you fulfil your purpose! I am a Princess Warrior – I fight for a worthy cause when it uses my skills and knowledge. Princess Warriors need a cause that will change the world! We feel uninspired when we are forced to limit our talents and skills sets for our boss’s job! I come from a long line of female trailblazers – fighting the good fight for women’s freedom. I want to continue the fight by helping women become financially free. I set myself a Big Hairy Audacious Goal to teach 1 million women about money. On this journey, I have realised that most women are spending every cent towards the rising costs of education, medication and transportation. Most people need to make money first before they can invest! I have changed my strategy of how I will teach women about money. I will first teach you how to MAKE it. Then, I will teach you how to INVEST it. You just need to take the FIRST step! The universe opens up opportunities. I have heard every excuse under the sun – not enough time, money and energy. Your little flame of passion and purpose can ignite the moment that you take that first step. It comes down to how badly do you want it? There are times that I want to throw in the towel! I have tough days and even tougher conversations. But the small pockets of encouragement and gratitude I receive from strangers is so rewarding. It refuels my little flame to continue forward! If you enjoyed this podcast, you will enjoy how to make money sitting on your couch, reasons why you should start a side hustle, and F.I.R.E. You’re welcome! 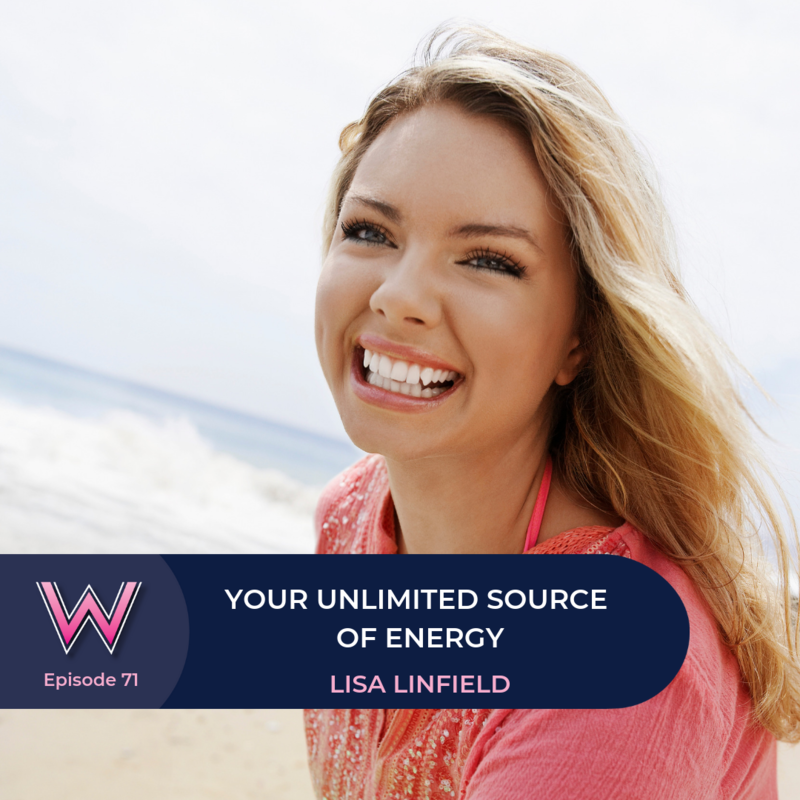 Lisa Linfield: 00:21 Hello everybody and welcome to today’s episode of Working Women’s Wealth. When I was in corporate, I took over a team of about 10 people, and they were going through some really challenging times. My predecessor had, I think what he thought kindly, booked himself and the team in to a little bit of team bonding or what I call care-and-share. Now, I don’t know about you, but I’m not a big fan of care-and-share. Intellectually I get it. I really do understand that if you know and understand people better, you will probably work together in a much better way. Intellectually I buy in, but emotionally I struggle with it. And the reason being that I went on very many wealth facilitated well-run care-and-share sessions with my colleagues, but I also went on one or two that weren’t peer-shared, that were not facilitated correctly and the openness and vulnerability was taken advantage off, and everyone plodding to someone and sometimes that was me. As you can well imagine, I am not a big fan of care-and-share and let alone one that someone has chosen and someone else booked me into. Needless to say, the day didn’t start off well when we arrived, and it didn’t really get much better when the facilitator went on to tell me that energy when focused in the right direction was basically an unlimited element, that there was unlimited energy. You see, my whole life I’ve really struggled with energy. It’s not a gift that I am given a lot of. When I’m like now on a podcast, or in front of an audience, I can definitely click into the mode of performer and I can do what I need to do in order to motivate the people that are sitting with me. But when I finish, I curl up into a little ball and want to hide away under my desk. It’s something that I’ve worked hugely over the past and continue to work on in terms of diet and exercise and rest to try and maximize my energy and get the most out of it. But an unlimited supply was something that was really never going to be something I agreed with. Needless to say, the poor guy was completely written off. To fill you in on some of the back story, it actually was a fantastic session, and I learned a lot. And like I usually do, I go kicking and screaming to these sessions, but when I’m there, like all the time I try to give 100% of myself and embrace whatever it is I’m there to learn. 10 years later I really wish I could remember who he was, so I could go and apologize to him. You see, I’d specifically like to apologize as I’ve come to agree with him that there is one particular type of energy that is almost unlimited, and that is an energy that flows from passion. Not just any passion, but a passion that comes from knowing deep in your soul that you are fulfilling your purpose in life, what you were put on this Earth to do. By nature, I love solving problems, and the bigger the problem, the more I love solving it, especially when there’s good versus evil or I perceive something is right versus wrong. You see, I was born to be a princess warrior. And I love that sense of doing the right thing, of the battle that’s worth fighting for. When I worked in corporate, there were many times I felt that energy that came from a mission that used my skills and training perfectly for a specific job. It was never sustainable because sooner or later there’d be a new CEO or new management who would decide that that particular mission was not so critical, and what I thought and what the team believed was right was actually wrong. With an ever changing sense of right and wrong, it really became much less of a passionate thing my work and more of just using my skillset to do what I was asked to do. You see, for a princess warrior, we need a mission or a cause that we believe really is going to change the world and is going to make a difference. The challenge that I faced is that I always thought that I was born to be a corporate girl. You see, I loved working in corporate. Corporates are big. Big problems, big challenges, big complex things that I could solve. And I never saw myself as an entrepreneur. It made me feel extremely safe to get that monthly paycheck that I knew I would be okay. But I was just one semester into my B.Com Honors in Financial Planning and when I felt the flame of a passion that began to burn again, it was smaller, but it was strong and unquenchable. 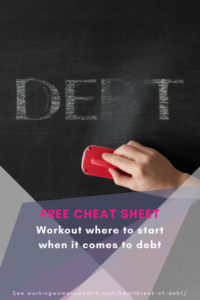 Each lesson that went through gave me a new insight that I could share with someone else, a friend going through a divorce, my father retiring, or John and I in our own personal investments. By the time I finished my degree, became a CFP and set up my business, I was crystal clear that I wanted to follow a long lineage of amazing women in my family and work for the freedom of women in my time, in my generation. My great-grandmother was a suffragette in the UK and my grandmother was a founding member of the Black Sash, and both of them had fought for the freedom of women to vote in their country, in their time. Now I wanted to fight for freedom, women’s financial freedom, to break the centuries’ old curse of women being completely reliant upon a man for financial support. And not just in South Africa. For women around the world. All of three months into having my own wealth management business, I set myself the big hairy audacious goal of teaching a million women about money in human speak, meaning no maths, no jargon. As I look now, just more than 20 months after starting my own business, it looks absolutely nothing like the very first business plan I did in the beginning. Originally, from the viewpoint of a financial advisor, I saw fulfilling that goal of teaching women as teaching women how to invest their money and protect it, protect it through death, protect it through inability to work. But as I worked with women across all spectrums of life, I realized that most women between the ages or 35 and 55 and beyond were spending every cent they had to keep up with the rising cost of education, medication, and transportation. And that most people needed to work first to make money so that they could then invest it. 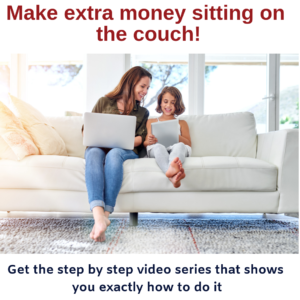 I tested that hypothesis with an article on my website called Nine Ways to Make a $1000 Sitting on the Couch. The uptake and response to that article has been unbelievable, and it caused me to think deeply and change my focus on my teaching. It’s not that I won’t teach people about money. I have many podcast episodes, many videos and things on my blog, and it was just much more about prioritizing what to teach first that it made sense to first teach how to make it and then teach how to invest it. My original business plan had no Working Women’s Wealth, no podcasts, blog posts, or online teaching courses. I was going to teach women one by one in my wealth management business. But that’s the thing. When you set a big hairy audacious goal that aligns with your passion and your purpose, is that it causes you to not only seek to fulfill it in small marginal ways, but to find big step change ways to reach this big step change goals. It requires you only to take that first step, that first leap of faith, the one that’s surrounded by fear and takes every ounce of courage just to step into it, and then the waters seem to part over time and that path becomes clearer to you. My first little step was my podcast. I can’t begin to tell you how every fear I’ve ever felt came rushing all over me. But I felt so strongly that I had to teach people and I had absolutely no context in the industry to get my message out there. I had no one in radio, no one in video, no one in TV, no one, so how was I going to get my message out unless I started this podcast. And then always when you start a new step, a space seems to come available. As I went through my teaching course, I feel that this task of teaching the women of the world about money is so big that there isn’t a single person out there that’s my competition. Not because I’m any better, any bigger, or any braver. But because everyone out there whose mission is similar to mine are actually people who are fighting on the same side as me. They’re my wing man. I’m their wing man. So I’ve had people that could be thought of as my direct competition in the space on my podcast. From my podcast my next steps became a little bit clearer. My teaching started to include videos and blog posts which soon evolved into keynote speaking and teaching other companies and other women’s events about money. As each step of the journey progressed, that business plan I first [inaudible 00:10:25] became further and further and further away. Each new step began to be about fulfilling my passion and purpose. To be fair when you start, your passion and purpose is just a tiny little flame. It’s absolutely not something that unless you take a step can grow. But as that little flame takes a long time to become a focal source of energy, it then starts to grow into a powerful feel for the warrior in each of us. A huge part of the transition in helping the flame to grow is to get rid of all the junk that one carries. I really recall the story that I’ve shared quite often which is about how when I first started videos, I used to make sure that my hair was done and my make up was fine and everything was perfect. And now I’ll pop onto an Instagram Story looking like death really, and it’s not about me. It’s because the purpose of getting my mission out, my voice, my whole story out to teach women about money has become so much more important than whether my hair is done. Your own junk needs to fall away so that that passion of serving your mission and getting your message out is way more important than anything else. I still did try and stay on course with my business plan. I wrote an entire training course about investments before I worked out that the response to Nine Ways to Make $1000 was so great that in actual fact I had to grow on this need that my audience was telling me about. I built not only a video series to support it, but I then went onto both 30 Days Side Hustle last year because I worked out that given the stat that 94% of us will not be able to retire in the same way that we choose to live now, that means that we all need to find someway to earn our own money once a corporate huffs us out the door and force retires us. So that little article, Nine Ways to Make $1000 gave way to then becoming the 30 Day Side Hustle which now seeks to teach people how to set up their own businesses. I have great plans to take that whole thread of how you make money all the way to an online business school, to help women to just get over the fear of stepping out and building their own business. This is where we take a full circle and come back to the beginning. Each week I connect very deeply with my vision, not only in visualization and journaling, but also just through the job that I do. I have to come up with a podcast every single week. My next training course Brave to Be Free needs to be written and needs to be produced. But I can tell you that there are absolutely weeks when I just want to throw the towel in, I want to drown my sorrows in a gin and tonic and just take away this big burden I’ve put on myself. There are weeks that go badly, and last week was one of them. I happened to have a week filled with really difficult conversations with people who did not have enough money for retirement and who were really upset about the news that I was delivering. And whilst I know that they don’t get cross with me as a human, they do vent their anger and their frustration and their fears. They shoot the messenger. It also happened to be International Women’s Week last week. I was so absolutely blown away when a company in England had a marketing campaign where women were standing with a sign and the sign said a woman’s name who they admired and why they admired them. And there were amazing women. The was Sheryl Sandberg. One of the women said their mother. There was also Maya Angelou. People who had made a huge difference to those people. And then in the bottom right hand corner one of the signs said Lisa Linfield. Even as I say it now, I’ve got goosebumps all over me. The person in the picture had cited that their inspiration was me because I’d set a goal of teaching a million women about money and that they happened to be one of the first I taught. She was one of my employees many, many years ago when I first started to try out what human speak was to teach investing and money management. I literally saw that ad and burst into tears. It was one of those days when that circle of energy had come back to motivate. I realized that there is in fact an energy that is perpetual, that is ongoing, there is an energy that can pick you up from absolute rock bottom with not a spot of energy left in your body to being ready to write a new course, get on your way, shake off the dust and keep on fighting. That trainer at that corporate care-and-share was absolutely right. This energy is unlimited. The energy that comes from not only having a passion for something, but a passion that serves other people. And that’s the difference. When you make a small difference in someone’s life, it’s almost a continuous energy and it seems that when you run out of it, someone else is there to prop you up and put you back on your way, someone that you have at one stage helped who comes back to help you with their encouragement, and that comes back to refire your energy. So for all those of you out there who are having a really tough week or who are struggling to come to terms with what is it that their passion is, be still and reflect deeply on those things that you can do, that you love doing, that you’re passionate about doing, but that also can be used to help other people. Because it doesn’t matter how much we get everything else right. We can find a job that fills our skillset and our needs. But it’s only when that job fills the skillset and needs is our passion and serves other people that we truly find that energy that keeps on giving. I’m Lisa Linfield. This is Working Women’s Wealth. Take care and have a great day.